Last month’s full moon urged you to establish a place in your home that would allow you to be more productive, and hopefully you did, as you may be pulled more toward your home these days than your usually rambunctious nature is used to. So much planetary energy is at play when it comes to your surroundings that you should either be trying to move into a new place or making the one you have more lived in and livable. If that isn’t the case, then you may just be feeling the urge to make your life feel more lived in and livable. So how to make grand use of all this? First off, make sure that your home life/world is moving forward in some way. Are outdated relics littered about in a way that subconsciously keeps you in the past? The same goes for your mind. Are you harboring heavy mentalities of the past so that your ship can’t leave the shore? Throw out any unneeded remnants, so that you can sail to the destiny that exists out beyond the horizon. You are really being thrown for a loop as Mercury travels through your house of communication. Are you making the same mistake twice? Did you mess up by saying no when you could have said yes? Is the coffeemaker still on? All of it can drag you down and make you just want to hide out under a blanket with a bowl of ice cream. But if you can get to a place where your mind isn’t running the show, you will see that your intuition is the compass you must follow. There are a lot of people who want to connect with you, and you have a ton of ideas, thoughts, and revelations to get off your chest. So team up with those you consider as your closest confidantes. Inspiration is flowing but you need willing audiences that you can trust and admire for their feedback. And if you feel like you can’t trust the person standing across from you, chances are, you can’t. Or at least, get a second opinion from someone you can trust. You are entering a year of great prosperity. Or I should say, that kind of year is available to you. Now I am not saying that money will start raining down all around you, which I know you would love right now. But, it may show up in a greater way if you do a few things for yourself. 1. Love yourself more. Now I know that can be so lame to hear. But you talk a lot to yourself, so what about saying nice things instead of calling yourself dumb or whatever it is you usually call yourself. Just listen for a day and you’ll recognize the record you have on repeat. 2. Connect with people who support your creativity. You have a lot of good ideas but if you’re telling them to people who aren’t that supportive, you begin to feel like they aren’t good enough. With some greater self-belief and a few cheerleaders, you will make some real progress. 3. Remember that mistakes of the past live there, so forgive yourself for them and try again. There is so much self-analysis and vulnerability going on for you right now. You are in your time of the year, and you are feeling every emotion with gusto. Or you should be. If you’re not, know that you have every right to. It may be hard to have an outburst when you’re not used to it, or to tell someone how you really feel when you’re used to waiting on another to make the first move. But know if you’re not pushing yourself out of your comfort zone a bit, then you’re just going to end up eating your feelings and storing them away for the winter. And that could translate to a literal sense of those words. And we don’t want a bunch of overweight Cancer’s by the end of the summer. So talk. Be loud. And be heard. If you need practice, call a dear friend and just emote. Or get the ball rolling by listening to some old music you love or seeing a movie that can get the waterworks going. You need to enact a new, more emotionally transparent you. It will benefit you in ways you couldn’t imagine. Love is in the air for you, Leo. And it’s your favorite kind – the love you have for yourself. Those who are lucky enough to be in your personal hemisphere are benefitting from it, as you’re making everyone feel like a million bucks. Perhaps it’s because you recently went through a period of feeling like you needed to make the world a better place, so you did that by being more caring for others than yourself. And your reward is the smiles of others and the warm feelings they bring. With this sense of happiness, you are prepared to enter into a deeper sense of self. And you may be starting to ask yourself some important questions about the meaning of your life and why you want the things you want. Don’t let this get you down though and curb your high. You should trust that it is all good and that all self-growth is pushing you to be a better you. So get deep and make sure that everything and everyone in your life is there to reflect who you are today. Because you don’t want them to be responses to old ideas of what you thought you wanted in your past. Are you feeling a stronger pull toward connecting with the world? Have you tried to put yourself out there in a big way before and suffered some sort of setback or failure? Maybe you have dreamed very big but have never really taken the steps to put your creativity or your ideas out to others in a way that could gain you some notoriety. Well, now is an opportunity to connect more deeply with the desires of your spirit and use your inherent healing powers to transform others in a way that is meaningful and emotionally fulfilling. Virgo, you always want to put others before you, and now you should do so but in a way that has you also doing something that you love deep down. If your heart isn’t in it, then you’re just doing for the sake of doing. But if you’re doing something with your whole self, then success belongs to you as well as to anyone who comes into contact with you and your power. Your career wants to really flourish right now, as there are a ton of people seeking you out, wanting some of what only you can do. But is your heart really in all that you’re taking on or only some of it? Are you pursuing a few things at once and one is starting to rise above the others due to passion or excitement around it? Or perhaps you are focused on one thing and it’s going great so you have no reason but to be happy. Well, take this time to reconsider where you’re placing your important career energy and make sure that it isn’t going to waste on anything that doesn’t completely excite you. There may just be some tweaks to make when it comes to how you’re doing business. Most importantly, do you need to give yourself more time than you’re giving to others? Even if you love what you do for a living, you can’t spend every minute of the day doing it. So apply some of that inherent Libra balance to yourself and make sure that work and play are equally in place for you. Right now, there’s an opportunity to approach something with the patience and excitement of a student on the first day of school. 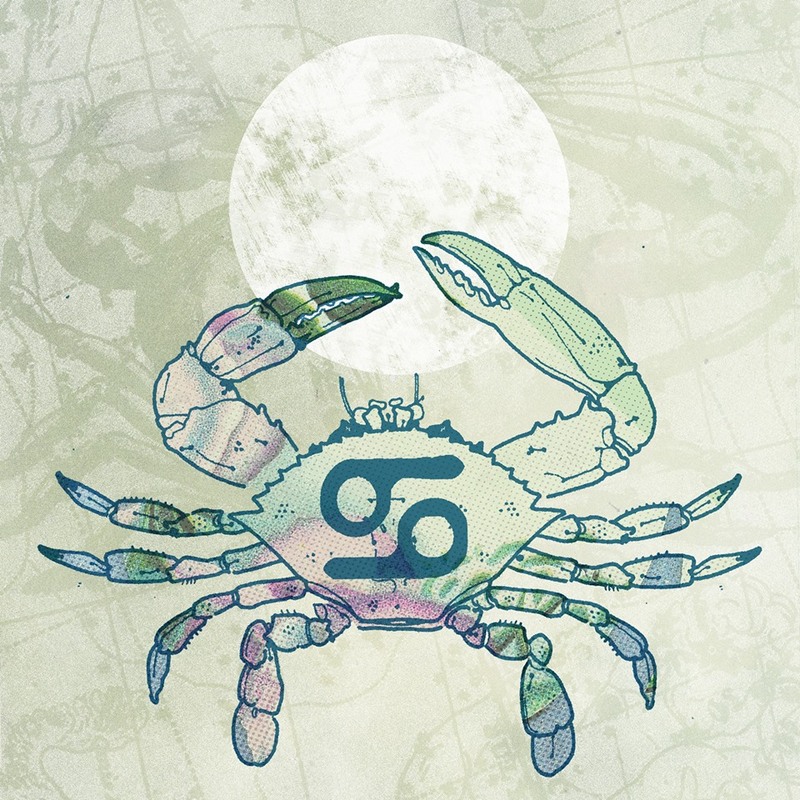 Whether it’s a new job, dating situation, or home, dig into that Scorpio “all or nothing” sensibility and apply it to some area of your life with the gusto of an overachiever. What’s the best way to know where exactly to place your energy? You’ll know by the familial feeling you get when connected to the other people involved. You want to grow and expand your knowledge, so involve yourself with something in a way that will surround you with inspiring people who can help bring out the natural leader in you. Now you may have walked down a similar road in the past and have a tinge of guilt around some sort of past mistake you made in that situation. But this is a new dawn, so take this chance to prove the haters wrong. That includes your own self-critic. Perhaps in the past, you were waiting for someone else to come along and help guide you to your most perfect life. Maybe a white knight or a lottery ticket or a check in the mail was going to come along and solve all of your problems. Well, it seems like now you’re awakening from that dream and can see that you are the only hero or heroine that is going to make your life better. And wouldn’t you rather be the protagonist of your life than a co-star? So take the reigns on this next chapter with both hands and feel confident that you can do yourself proud. You have made the proper connections and put in the hard work that has now gotten you to the kind of opportunity that could help you chart a new course for your life. So forget about what you thought was going to happen next and be open to something new, intriguing, and full of change. You need it. You can be a bit of an independent loner, which tends to support the ambition and determination that drives you to succeed. But right now, you’re not entirely excited by the idea of going it alone. In fact, you’re riper than ever for some intimate companionship, so it may be time to allow someone else to come on board your trek to the summit. Even if you’re in a relationship or feel like you have some really strong friendships in your life, you should pause and consider if you’ve given all of yourself to someone else or just your good side. You Capricorn’s are a very sensitive creature, and it can be lonely and depressing if you’re not sharing those feelings with another. So who in your life means something of real importance to you and how are you shifting your usual self-sufficient ways to show them that they are needed? Don’t worry. You’re not showing weakness. You’re not relinquishing your power. You’re just being urged to be more vulnerable and let go of pains from your relationship past. That will help you to make room for more supportive lovers, friends, and confidantes who, for the most part, are all probably in your life already. You may be feeling a little stifled by the routine of your life. You may be wondering how you can switch it up or just scrap it all together. And you may be reassessing where in your life you need to create more structure and/or take on greater responsibility for yourself. Someone needs to crack the whip on getting some of your goals accomplished, and that person should be you. But, being an Aquarius, you’re not very good with structure. In fact, you love to fight the status quo and question it whenever you can. So perhaps it’s time to look at your own life as an establishment and see where it may need a revolution. You may need to throw off some old chains that have tied you into a corner. Intuitively, you probably know what this refers to. So how can you go about making the necessary changes that will allow you to feel more freedom? You actually have an opportunity to infuse your daily life with more self-imposed activities, but first you have to be courageous and take on the task of owning each experience you’ve brought on to your life up to now. There is a real need for you to mother yourself right now and nurture the little creative that lives inside of you. I actually have one Pisces friend who is literally pregnant, so for her, this would mean taking the time to relax and make sure that the little creation living inside is being taken care of to the best of her ability. But for those who aren’t actually carrying a child around, consider the inner child who lives within. There is a spirit in each of us that is all about play and joy. He or she wants to be given the green light to have fun, dance, paint, sing, or just laugh with reckless abandon. So what creative project have you been toying with that you can now take on without fear of failure? This fear has stood in your way of being your whole self. More so, you’ve battled the fear of success, because if you prove to be good at the thing you love with all your heart, then you will have the spotlight turned onto you. And no sensitive spirit wants that. Or, do you? Nurture your creative spirit to no end and see if you’re ready to earn a little recognition for your talents.